Visit: http://es.scribd.com/2Mariam5 Download powerpoint presentations, pdf, and docs. 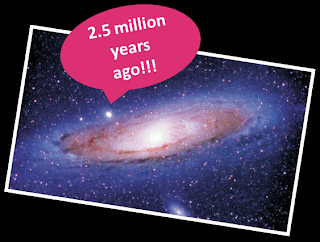 By studying stars of different ages, we have learned that the early universe contained only the simplest chemical elements: hydrogen and helium (and a trace of lithium). We and Earth are made primarily of other elements, such as carbon, nitrogen, oxygen, and iron. Where did these other elements come from? Evidence shows that these elements were manufactured by stars—some through the nuclear fusion that makes stars shine, and others through nuclear reactions accompanying the explosions that end stellar lives. By the time our solar system formed, about 4 billion years ago, earlier generations of stars had converted about 2% of our galaxy’s original hydrogen and helium into heavier elements. Therefore, the cloud that gave birth to our solar system was made of about 98% hydrogen and helium and 2% other elements. That 2% may seem a small amount, but it was more than enough to make the small rocky planets of our solar system, including Earth. On Earth, some of these elements became the raw ingredients of simple life forms, which ultimately blossomed into the great diversity of life on Earth today. 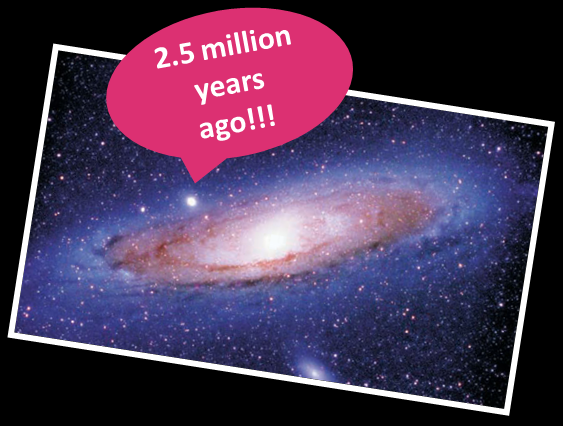 How can we know that the universe was like in the past? Light takes time to travel through space, so the farther away we look in distance, the further back we look in time. When we look billions of light-years away, we see pieces of the universe as they were billions of years ago. Because light takes time to travel through space, we are led to a remarkable fact: The farther away we look in distance, the further back we look in time. For example, the brightest star in the night sky, Sirius, is about 8 light-years away, which means its light takes about 8 years to reach us. When we look at Sirius, we are seeing it not as it is today but as it was about 8 years ago. 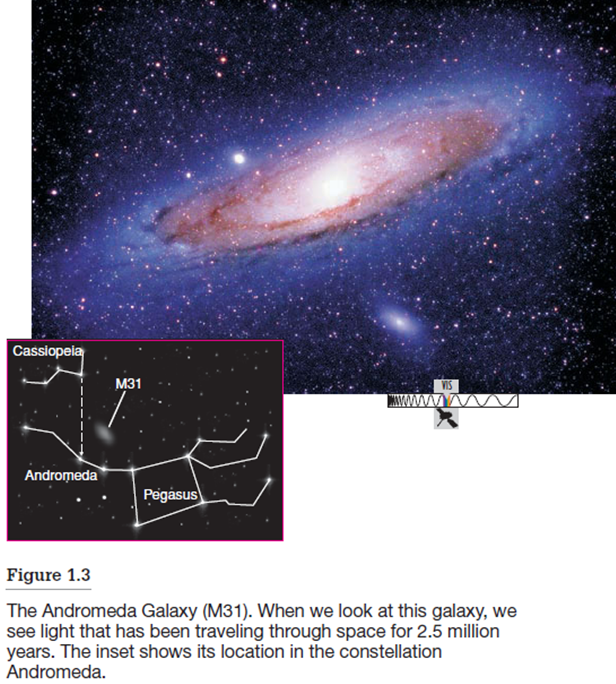 The Andromeda Galaxy (also known as M31) lies about 2.5 million light-years from Earth. Figure 1.3 is therefore a picture of how this galaxy looked about 2.5 million years ago, when early humans were first walking on Earth. 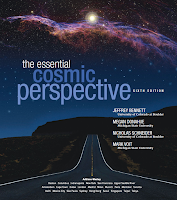 Can we see the entire universe? No. 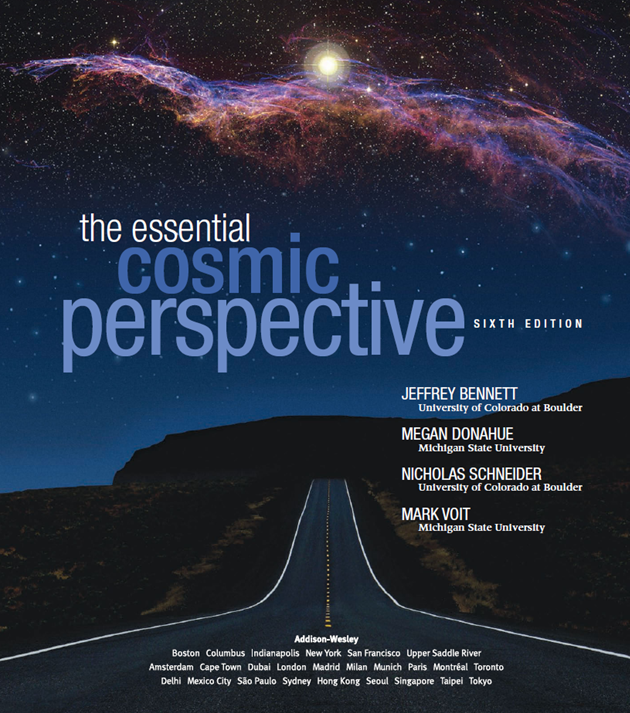 The age of the universe limits the extent of our observable universe. Because the universe is about 14 billion years old, our observable universe extends to a distance of about 14 billion light-years. If we tried to look beyond that distance, we’d be trying to look to a time before the universe existed.